We collectively have a heavy heart this week. Apple co-founder Steve Jobs passed away Wednesday night after a years-long battle with the insidious disease of cancer. Jobs did nothing short of changing the way the world communicates (iPhone/iPad), entertains itself (iPod/iPad/iPhone) and who knows what other things to come that will have his fingerprints all over them. We don’t think it’s hyperbole to say that Jobs’ legacy is in the same realm as Edison, Einstein, Franklin, and other great inventors and thinkers. His vision, HIS vision, singularly spawned the digital communication revolution. When the first iPhone was released, Google was simply a search engine. BlackBerry was a phone with email. Whether you are on the Android or iOS side of the “mobile device war”, you cannot deny that we wouldn’t be as far along in this revolution without Jobs’ vision. The pictures in this post are from Apple’s home page on Wednesday night. While we, obviously, think very highly of Jobs and his legacy; we didn’t know him personally. And that’s the real tragedy in this. His wife and children lost a husband and a father. His close friends lost someone to confide in. As much as he meant to all of us; imagine how much he meant to them. 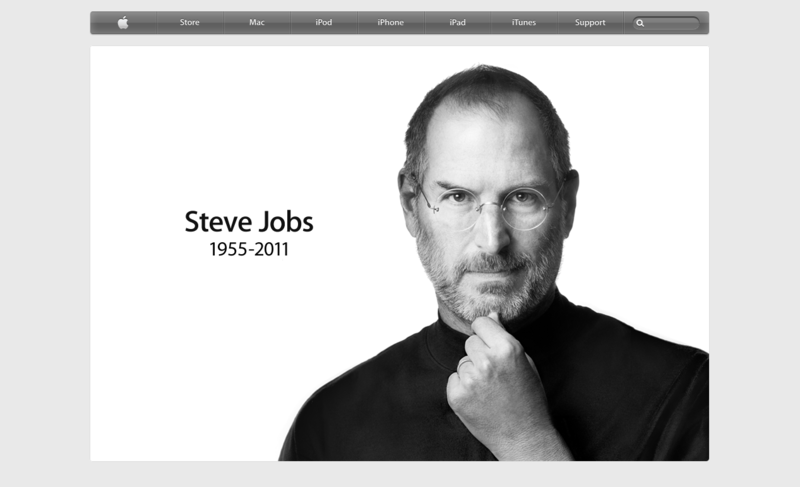 This week, like Apple, we ask that you send your thoughts, memories and condolences to rememberingsteve@apple.com. What are your lasting memories of Steve Jobs and his legacy? Let’s remember him in the comments section.